* Made of highest quality solid oak and oak veneers. * Drawer fronts are rounded edge solid oak and fitted with polished brass pulls. * Drawer sides are made from premium solid wood drawer material. * Drawer bottoms are tempered hardboard. * All drawers have rear anti-curl hoods. * Our Oak Flat Files are stackable, and are finished with multiple layers of furniture grade clear lacquer. * Oak caps are trimmed with solid oak bull nosed frame. 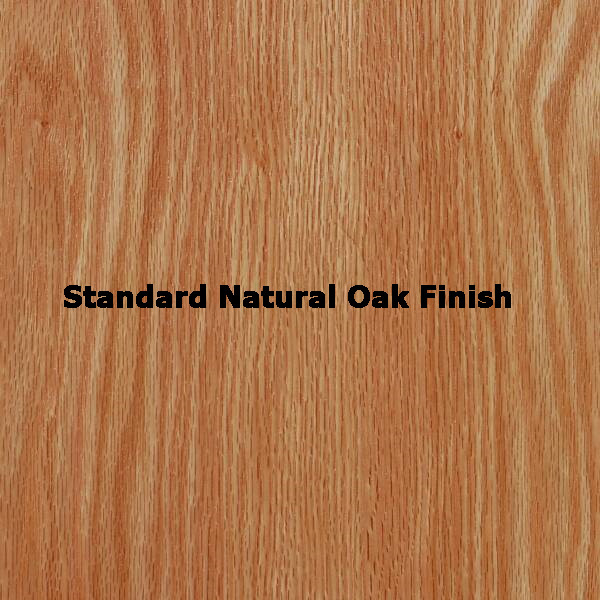 * Oak bases are also made of solid oak. 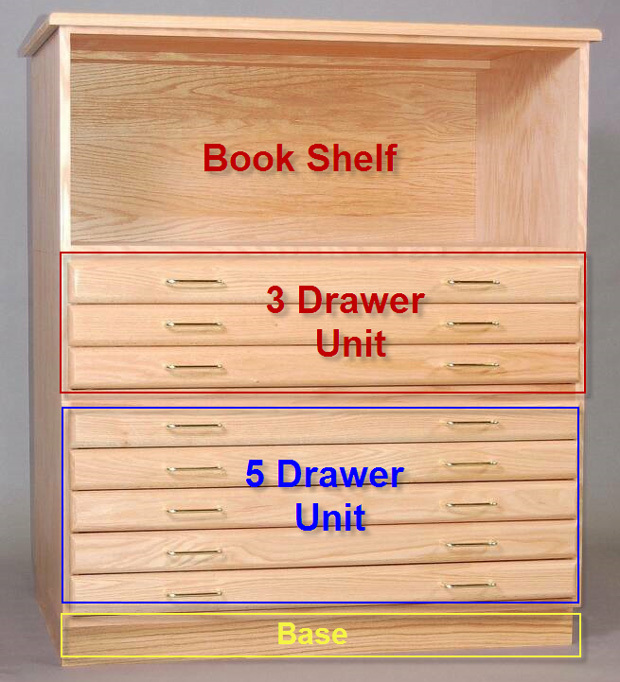 * Bookshelf units can be added for a more efficient and versatile use of space. * Use them for keeping your reference material handy, or to enhance your work area to display your favorite decorative items. * Standard versions are sold without any stain applied to reveal the natural beauty of this attractive wood. This product is shipped from our warehouse in Forest Grove, OR, USA.